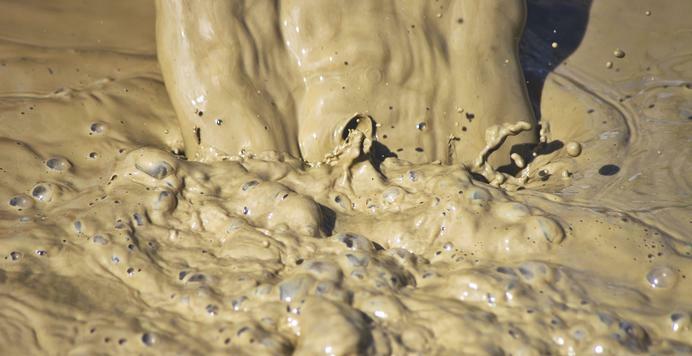 OUR ENVIRONMENTALLY FRIENDLY WELLBORE CLEAN-UP PRODUCTS PROVIDE AN EFFECTIVE METHOD TO CLEAN UP MUD RESIDUES AND IMPROVE FINAL WELL PRODUCTIVITY. Our wellbore clean-up products have been developed with the improvement of your well and the environment in mind. Post-drilling, our fluids can play a role in cleaning, protecting and preparing your well. CW-20, CW-80 and CW-12 are chemical washes made up from synergistic blends of surfactant/solvent that are utilised as a cleaner in a number of different applications. Used for casing cleaning, rig washing, pit cleaning and general removal of oil-based drilling fluid residues from equipment and are used as a pre-flush ahead of a weighted spacer. They were designed to dissolve and emulsify hydrocarbon fractions of mud residues to prepare the well for receiving cement. The products are highly effective in divalent brines, and can be applied with polymer viscosifiers to modify rheology. Our wellbore clean-up products CW-20, CW-12 and CW-80 are tested in our lab, manufactured in UK and UAE and proven in fields all over the world.